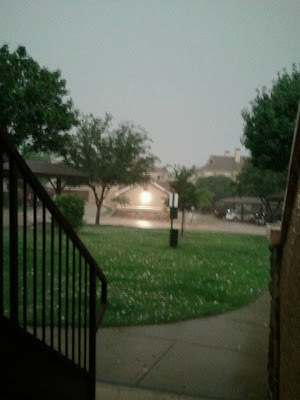 Here are photos I took on my phone of Tuesday's storm as it passed through our area. There were two tornadoes in our area and some damage done by hail and winds. My car got some hail dents unfortunately, but with deadly storms all over lately, we were thankful to be safe. There were 9 tornadoes confirmed by the National Weather Service in North Texas's storm last night. An article detailing each one here. Some weren't too far from us! Many other states were hit much harder and our prayers go to those families and states affected. Wow, Marissa! SO scary! I am so glad you guys are safe. 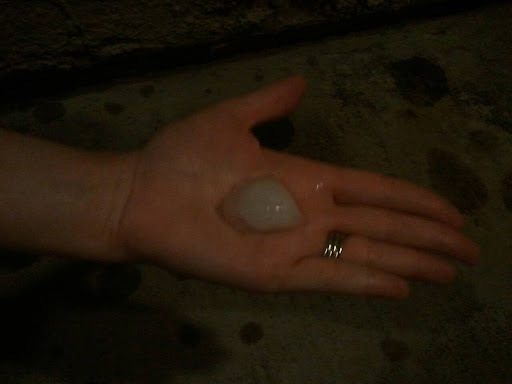 That's some HUGE hail! We need to chat soon! I miss you, friend! Thanks, Hannah! I miss you too, we need to catch up soon!